In the 1970s as Korea attempts to rebuild itself following the devastation of the war, the attention of the political and social elite turns to a new vital area of power – land. The countryside region known as Gangnam (literally ‘south of the river’) rapidly becomes the most desirable, with each faction preparing schemes and machinations in order to accumulate the most profit. Yet for such plans to achieve fruition first the democractic parties need to be quashed, and local ragmen and best friends Jong-dae (Lee Min-ho (이민호) and Yong-gi (Kim Rae-won (김래원) are hired to join mobsters in obstructing the movement. During the fight however the duo become separated yet three years later they meet again, as the leaders of rival gangs all vying for the lucrative land in Gangnam. Boasting high production values throughout, director Yoo Ha’s Gangnam Blues is a well made gangster flick which explores the rise of the now-affluent district of Seoul with interest. 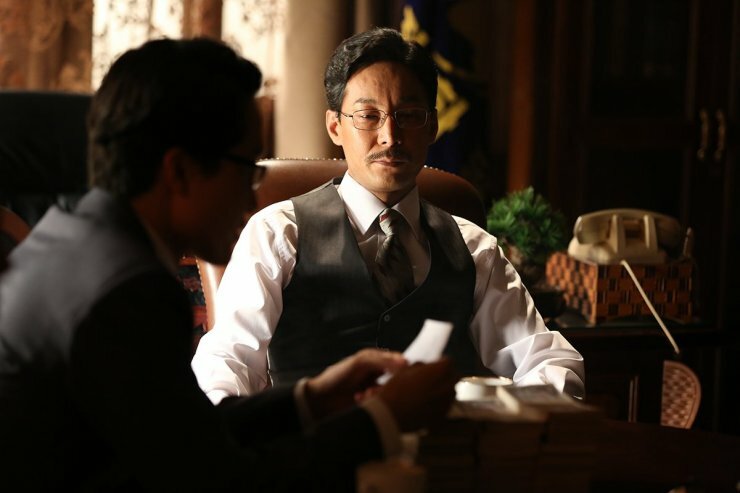 Yet as much of the narrative developments occur in repetitive boardroom meetings tedium quickly sets in which, combined with the overly long running time, make the film a moderate slice of genre entertainment. Alongside Once Upon A Time in High School (2004) and A Dirty Carnival (2006), Gangnam Blues is the final instalment of writer/director Yoo Ha’s ‘street trilogy’ and is arguably his most visually sophisticated film to date in a resume that also comprises A Frozen Flower and Howling. Director Yoo employs his locations and colours effectively to create a surprisingly vibrant crime drama, with the lush greens of the old Gangnam countryside impressively contrasted with the grey city environs and shadowy clandestine meeting rooms, while still managing to save the best for last with the film’s remarkably violent-yet-attractive final battle royale. The sets are also generally superbly realised, notably the country dry cleaning store in run by former crime boss Gi-soo, articulating the great deal of effort spent on generating high quality production values. While such stages are required as Korea’s landscapes have so vastly altered, however, ironically such settings do often convey a manufactured sensibility that lacks the gritty authenticity of the era and serves to pull audiences from the story. For fans of Korea there is also enjoyment to be had in watching the rise of Seoul’s most famous district. The collusion between politicians, the social elite and crime syndicates in developing Gangnam for their own corrupt purposes is initially fascinating to experience, as morality and the distinctions between them are erased in their mutual pursuit of greed and power. 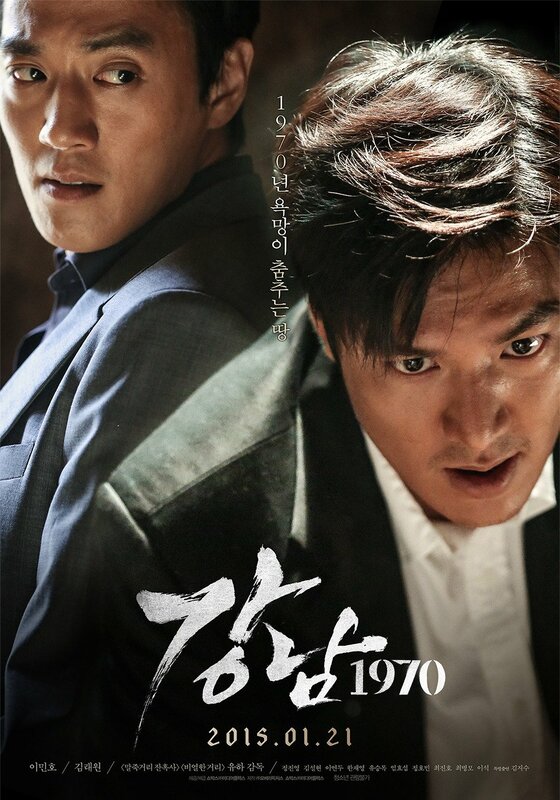 The film is largely based on historical fact in this respect and frequently insinuates that today’s politicians, now sporting incredible wealth and status, were the greatest criminals of the era, a feature that is so on the nose that Gangnam Blues opens with a preface explaining it as a fictitious story and sparring director Yoo legal ramifications. Yet while the origins of Gangnam’s progress are interesting, so much of the narrative development occurs within boardroom meetings that repetition and tedium quickly arise. Indeed, there are so many conversations of cheating farmers out of land, plans for redevelopment and betraying allies that compulsion wanes and such a strong sense of déjà vu occurs it feels as if the film is on repeat. Coupled with an overabundance of characters on all sides vying for power as well as an overly long running time of 2 hours and 15 minutes, boredom frequently ensues. To humanise the story amongst all the political machinations, poverty stricken ‘ragmen’ Jong-dae and Yong-gi give the story focus and heart, yet they are marginally successful in doing so. As the central protagonists they succeed in drawing attention but the characterisation is particularly weak making it difficult to fully invest in what they try to achieve. There are several attempts throughout the narrative to generate more intense emotional connections with them, such as scenes involving Jong-dae’s sister Seon-hye (Kpop’s AOA star Seol-hyun) as a victim of domestic abuse, the fleeting and redundant love interests both have, as well as a handful of unnecessary and gratuitous sexual sequences, yet they all fall flat and have little bearing on the story with most so easy to disregard they don’t even bother to receive any kind of resolution. 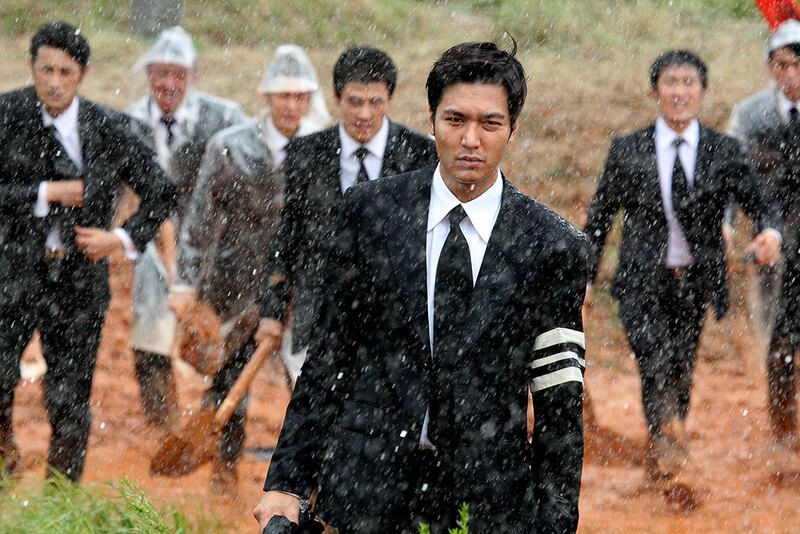 Gangnam Blues has largely been marketed as a vehicle for Lee Min-ho, who admirably tries to break out of his star mould and become an actor in his own right. There are glimmers that he is capable of doing so, but he typically falls back on his star image of appearing cooler and more attractive than the supporting cast. As such it’s particularly hard to buy into his status as a crime boss as he lacks the gravitas of his counterparts in the far superior New World and even Nameless Gangster. Kim Rae-won fares better as the ambitious Yong-gi, though marginally so and largely due to the more conflicting situations within which he finds himself. 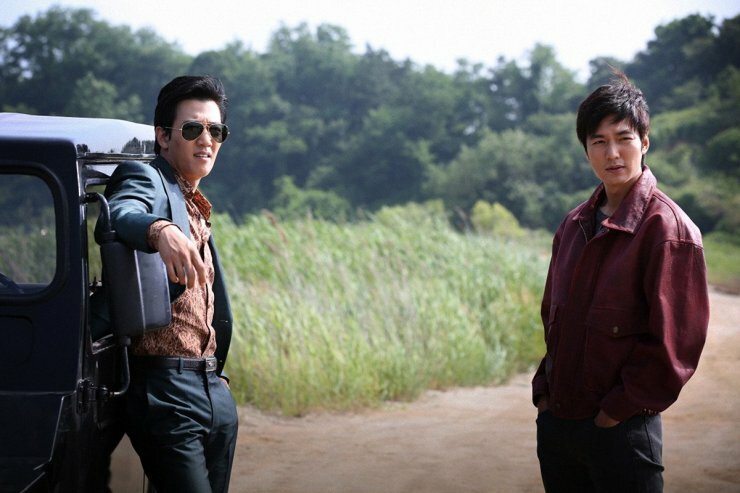 Gangnam Blues is the concluding chapter in writer/director Yoo Ha’s ‘street trilogy’ and marks what is arguably his most visually sophisticated film to date. While he makes great use of colour and environments, and the story of Gangnam’s origins is an interesting one, the crime drama lacks compulsion becoming quite repetitive and tedious during the overly long running time, while Lee Min-ho lacks gravitas.